Developers Respawn have officially announced that a multi-platform sequel to the shooter is in development. This may polarise some gamers opinions, whilst Titanfall was well received on the awards circuit many gamers felt let down by the launch title game. It is impossible to discuss Titanfall without mentioning their unique take on the campaign, or lack of! The campaign ran exactly the same as each of multiplayer modes with some radio chatter added in to give the illusion of a story. It was hard to be invested and after completing it from both sides I couldn’t tell you any of the important information or even the characters names. With games like COD that dominate the charts with a large number of players ignoring the single player aspect completely Respawn’s decision seems justified, but I know I am not alone when I say I care about the campaign! When you have a game where the mechanics work beautifully and most importantly are fun it is such a shame not to include a single player or even co-op element. Much like the added “Frontier Defence” a co-op storyline would be so much fun. The planets we visited throughout the online modes have abundance of interesting locations and wildlife that I want to explore! Think Avatar with both warring factions having access to robot machines of death, I want to care about the characters and the struggle of the militia but as it stands I just don’t! This one is self-explanatory, much of the marketing material for this game continued to make the point that it is you and your Titan. So why can’t I customise it?! Whilst changing the voice and emblems are available now the customisation does not go nearly far enough. I want my Titan to be completely unique as it drops on to the battlefield, there needs to be more physical customisation to alter the appearance of my Titan. The prestige challenges could also unlock hard to gain items giving more incentive to keep hitting those challenges. EA if you are listening…this does not mean we want microtransactions! I haven’t mentioned the distinct lack of Titan types as full point as it goes without saying, we want more than three classes of Titan! Frontier Defence as I mentioned earlier was a great addition to the game modes, thoroughly enjoyable and if you haven’t played Titanfall in some time I recommend you give this mode a try. What I envision with a strategic version would be a much larger map. You would still have four pilots defending with another four attacking. The gameplay would be as it is now that the defenders have to protect the reactor until the attackers run out troops. The defence team would be given access to limited equipment to aid them. The obvious starting points would be turrets that players could control and pitfall traps that would be able to doom a single titan. 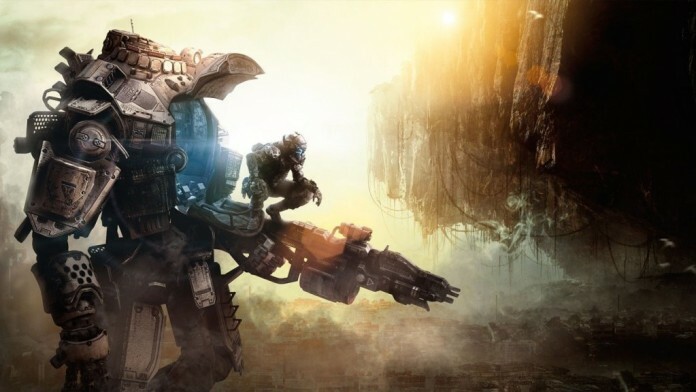 It would be an interesting game mode as the attacking team would have control over the attacking force, combining strategy and fast paced gameplay would easily make this the best game mode on Titanfall. So there are three things I want to see in Titanfall 2, what do you think? Has single player gameplay had its day? Let me know in the comments below.